Educating the whole student is important at Saint Ann School. We are all bound to Saint Ann School's uncompromising mission of Spirituality, Academics, and Service. We expect each student to live out these values in all they do. Each year we embrace our EagleSTRONG community with a special day of fellowship and service. Each class plans, coordinates, and implements a community service project. This past year students stuffed Lenten Easter Eggs for Ronald McDonald House, created activity kits for patients at Vanderbilt Children's Hospital, created handmade prayer cards for first responders' flak jackets, and much more. 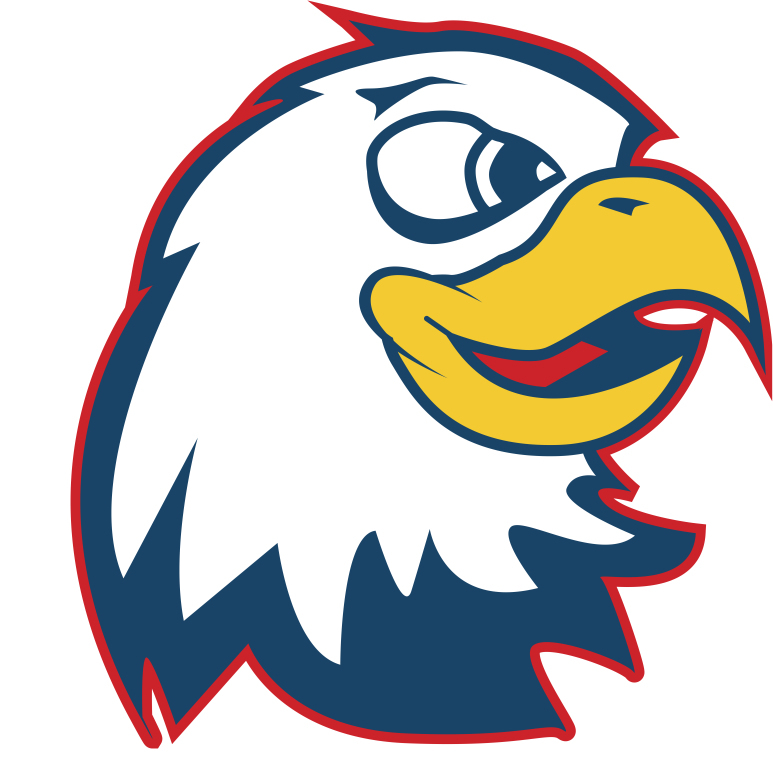 EagleSTRONG Day encourages students to look beyond themselves, their classroom, and their school to the greater community and make an impact! 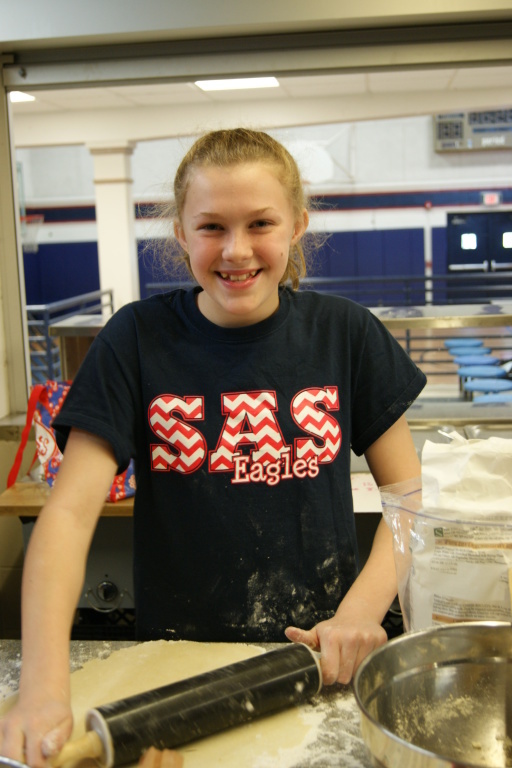 "Throughout the entire school year she has retained a consistent spirit of excellence in both academics and character, while modeling the essential elements of an EagleSTRONG student. She goes above and beyond what is asked of her-on a daily basis-in the classroom, on the play-ground, and even outside of school. She practices and models respect for her teachers as well as her peers. It is not uncommon for her to start her day earning an A on a test, comforting a friend that is upset during lunch, and finishing out the day by helping clean up our classroom. Her character exhibits Christ-like character, doing everything whole-heartedly as unto the Lord. I am extremely proud of her purity of heart that motivates her to do what is right, whether others are watching or not. This student's level of integrity and accountability supersedes that of a fifth grade student, and I am confident that great things are in store for her future." "She is a true example of what it means to be EagleSTRONG through her constant dedication to doing what is right and true. She is an example to others through her academics, responsibility, and respect for others. She is always prepared and is honestly ready to lend a helping hand to anyone in time of need. 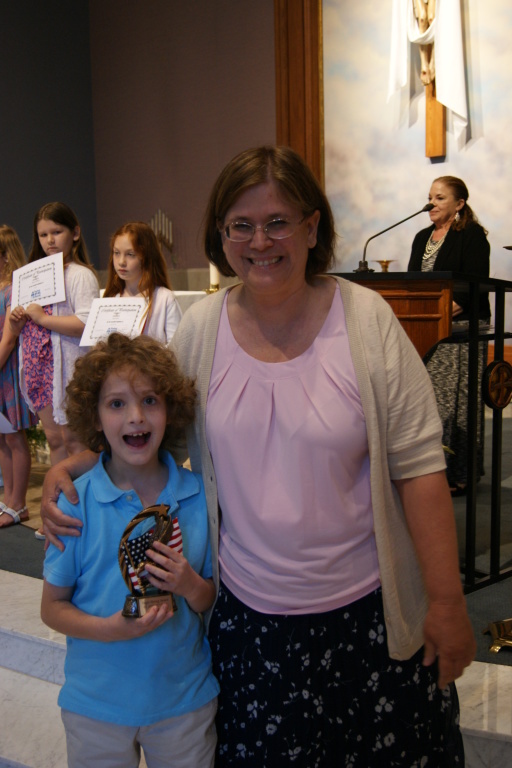 She brings joy to others through her positive attitude, constant smile, and outgoing personality; she is a true example of what Saint Ann School is all about." "After a lesson on what it means to be EagleSTRONG, kindergarten students wrote who they thought displayed EagleSTRONG qualities in the class. Below are reasons why they chose this year's recipient. He is EagleSTRONG because he always asks if people are hurt or not. He is always nice and kind. He is polite and he shows respect to his classmates. He is kind to others. He is respectful because he is nice, kind, and sweet. He is EagleSTRONG because he cheers me up and can write very good. He is honest because he doesn't tell lies. He is nice because he cares about me. He is helpful to everyone. He is smart and polite. He is EagleSTRONG because he treats people with respect." ​"In the class nomination paragraphs the grade 4 students pointed out some very special qualities they see in this year's recipient including her always being inclusive of others and always trying to do her best. I have seen in her a willingness to help her classmates without being asked. She is always willing to give of herself." There is little doubt that Saint Ann School students are a diverse group of learners, athletes, performers, and doers. Students here are unique yet unite to form a community bound by the common, uncompromising mission of Spirituality, Academics, and Service. To this effect, what are the essentials on our campus that are needed to keep us on our path of being EagleSTRONG! 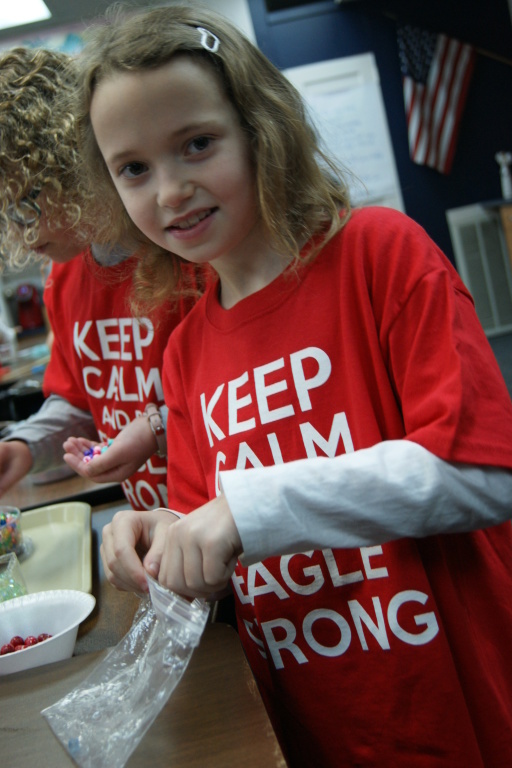 What are the characteristics of being EagleSTRONG that each student, from pre-K to grade 8, must keep forefront in his or her mind to be a genuine member of our community? Though always important in the minds of faculty, special emphasis is given to the following tenets, making sure that they, indeed, are tightly woven in the fabric of school life.